With the Bank of England base rate going up recently for the first time in 10 years homeowners are remortgaging to get a better deal. Currently the best 5 year fixed rate if you have 50% equity or more in your property is on offer from Scottish Widows. 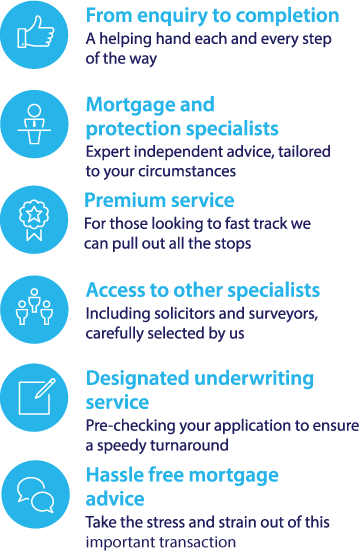 Our Fixed Rate Mortgage Service - Why choose us? As the name suggests, a fixed rate mortgage has an interest rate that is set at a defined level for an initial term, usually lasting several years. This gives you the security of knowing exactly how much you’ll have to repay on your mortgage each month, for the duration of the secure your rate to give you fixed monthly repayments. When this discounted period ends, make sure you can afford any increase in monthly repayments that may kick in as your mortgage switches to your lender’s Standard Variable Rate (SVR). One of the first things to consider when choosing a fixed rate mortgage deal is the length of the deal itself. There are a variety of fixed rate mortgages on offer, ranging from 2 to 5 year fixed rate mortgages. Once you have chosen a fixed rate timescale, you will need to look for the best deal available with the deposit or equity that you are able to put down on the property. The most competitive fixed rate deals may only be available to people with a large deposit or equity in their current property, and people with a smaller deposit may find that their choice of top fixed rate deals is limited. Security - A fixed-rate gives you peace of mind because you know exactly how much you'll pay for your monthly mortgage repayments. You know that, during the initial fixed period, your monthly mortgage repayments won't rise, even if the Bank of England Base Rate does. Budgeting is straightforward – Knowing that your repayments are fixed for the foreseeable future can be useful when it comes to planning your finances over the next few years. You can budget for other household costs more easily, without the worry that your mortgage repayments will suddenly skyrocket. Potential for higher rates – Interest rates on fixed rate mortgage deals can sometimes be higher than those offered on variable or tracker mortgages. Penalty charges if you repay early – Most UK mortgage providers will charge you a penalty - known as an Early Repayment Charge (ERC) - if you want to move to a different mortgage deal before the end of the fixed term. For example, if you take out a fixed rate mortgage, repaying the loan early could involve a percentage of the loan amount being charged as a fee, on top of the amount you owe. For more information call 0117 313 7780.